Most people know that Billericay is steeped in national history for many reasons. One in particular, is the existence still of the Chantry building at numbers 57-61 High Street. The premises were originally one house and were probably built on the site of the Chantry priest’s house in 1510. 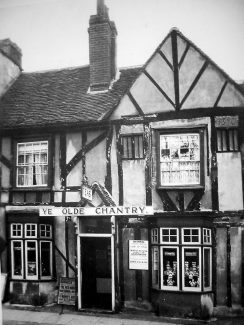 One time resident, the late Fred Fulcher took many photographs of the Chantry House during the 1960s and ‘70s and was always happy to talk about this building and others, some of which were demolished over the last 30 years. In later years, several roads in Billericay were named in memory of these historical characters. Today the date shown on the building is 1501, but as can be seen from the attached photograph (and many more in our archive) the date should read 1510. In about 1967, when I was 15, I used to play truant from school and meet my friends at the Chantry. My parents never found out. We loved it. The man running it was Italian I think. We probably didn’t spend much money there but we felt very grown up. Happy memories. In June 1967, I was eating buck rarebit with with Martin Cantor (Drama Teacher, Billericay Sec. School) a regular occurrence before the evening session at the Youth Centre, when I first heard the strains of ‘Whiter Shade of Pale’ by Southend’s Procol Harum from the cafe juke box. It was a significant moment as it heralded the onset of the Summer of Love and some interesting psychedelic musical developments. I too remember the Chantry café. We used to go there on special occasions for tea and cake when we were courting in the late 50s. 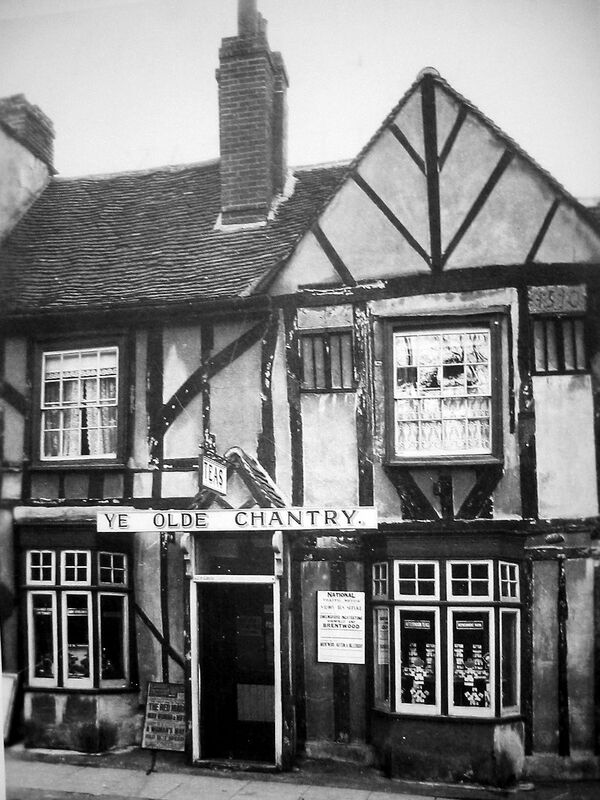 I remember the Chantry in the High Street when it was a lovely little tea room.